Wash, core and chop 5 pounds of your favorite apples, leaving the peels on. While a rough chop is all that’s needed, smaller pieces of apple will cook faster. To get a thicker butter in the shortest amount of time, chop pieces to about half the size pictured here. Add the remaining ingredients to a 5- or 6-quart slow cooker and toss to mix. Cover and cook apples on high for 4-5 hours, stirring occasionally, until soft and cooked through. 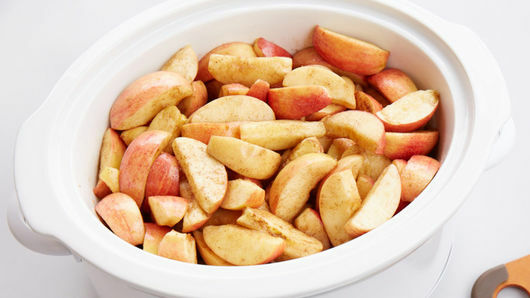 A good rule of thumb is to allow the apples to continue cooking for at least one hour after the liquid around the edges of the slow cooker has reached a strong, rolling simmer. When apples are completely soft, puree the apples with an immersion blender. Or carefully transfer the hot mixture in batches to an upright blender or food processor. Puree the apple mixture for 2-3 minutes until completely smooth, like a caramel sauce. Continue cooking, partially covered, on high for 30-60 minutes more or until the apple butter has reduced to your desired thickness. It will thicken even more as it cools. Refrigerate apple butter in an airtight container for up to 2 weeks. Try spreading apple butter on toast, spooning it over pork chops or drizzling over ice cream. 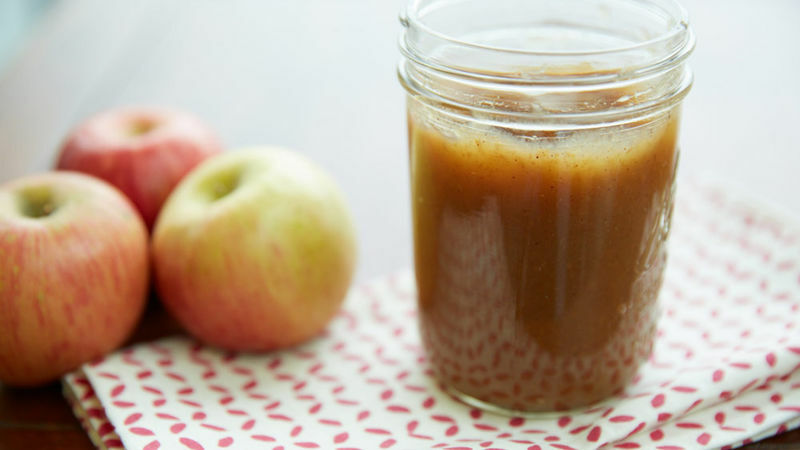 Of all the apple butter recipes on the Internet, this one is the simplest! You just need four ingredients and your slow cooker to make a big batch of velvety, sweet apple butter in under five hours. You’ll notice that though this recipe is called “apple butter” is doesn’t actually have any butter listed in the ingredients. Apple butter gets its name from its similarities in consistency to butter and its uses—apple butter is a delicious spread on toast or biscuits, and it can also be used as a baking ingredient in sweets like bars, cookies and cakes. Never made apple butter before and want to read all of the best tips and tricks before you get started? 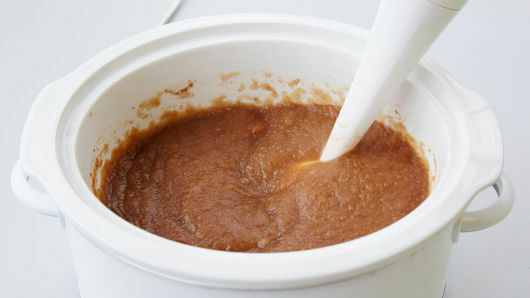 Read our step-by-step How to Make Apple Butter in a Slow Cooker article. 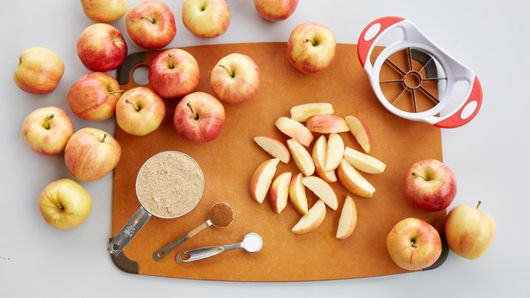 Plus, don’t miss out on all of our very best recipes to make with apples!